Many chronicles exist of ancient Mesopotamia from cuneiform tablet annals and interpretations brought to the public from the Mardukite Research Organization & Publishing Group… but our efforts have never been restricted to purely academic or literary ventures. Complimenting the offbeat off-the-wall approach taken by our official spokesman, NABU JOSHUA FREE, our unique non-secular non-sectarian “organization” has conducted many esoteric occult and covert “experiments” in global reform, blatantly since 2008. One such cumulative effort is the reestablishment of a New Babylon Rising — and here we are in the 40th Year of the New Age of Marduk (begun in 1977). We are in the same circumstances now, in 21st Century AD as we once were in the 21st Century BC and above all, the prophetic raising of the Marduk Temple and Nabu Gate for a New Age — a New Babylon Rising — is now upon us! 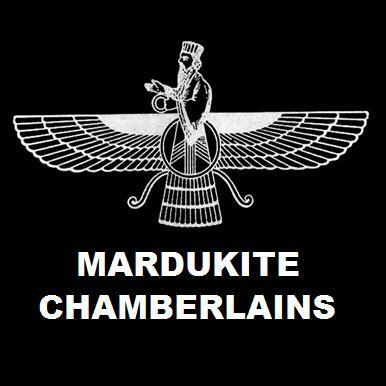 JUNE 2016 — Summer Solstice and 8th Anniversary of Mardukite Ministries — a late-model winnebago RV was obtained by the Mardukite Research Organization from SF Bay (Cali) to establish a mobile office for the Mardukite Publishing Company in addition to the NABU GATE & LIBRARY to a very real and physical MARDUK TEMPLE SANCTUARY for a New Babylonian Rising. Mardukite Spokesman, NABU JOSHUA FREE and domestic partner CyberVamps DJ KYRA KAOS spent the entire Summer 2016 reconditioning the interior and exterior of the Mardukite RV to meet personal specifications for the Mardukite Office and the aqua blue hue appearance expected of a Marduk Temple. During this reconstruction, citizens of Englewood Colorado and the EPD (Englewood Police Department) were less than tolerant of our work, in spite of our civic respectfulness. At one juncture, JOSHUA FREE was threatened by Englewood Police Department with imprisonment if the Marduk Temple were found on Englewood streets again. In spite of the posted signage indicating the work as a World Heritage Project, this fascist trend is expected to rise in Colorado as the influence of Denver’s Urban Camping Ban spreads. Plans are still being developed for the NATIONAL MARDUKITE NEXGENCON scheduled for the August 2017 eclipse at Carhenge, Nebraska following a Wizards of the Wasteland spiritual retreat in the South Dakota Badlands. The Mardukite Nabu Gate & Temple of Marduk is expected to be the centralized icon of this event. Further plans are in development for 2017 to acquire rural land designated as a NexGen Sanctuary for the future New Babylon Rising and of course, the Marduk Temple. The emphasis and purpose of this Sanctuary is to provide for the continued existence of Mardukite Chamberlains activities and survival of the Library of Nabu-Tutu archives for posterity. TODAY… A NEW BABYLON is RISING!